Earth Force Command is the first line of defense against Invaders From Space! 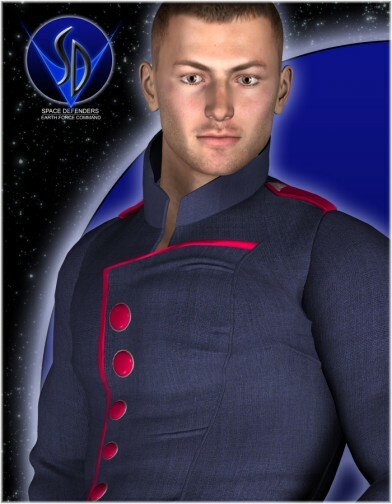 The Commander serves a key role by managing the crew of his ship, negotiating with hostile aliens, and when all else fails, engaging them in battle. 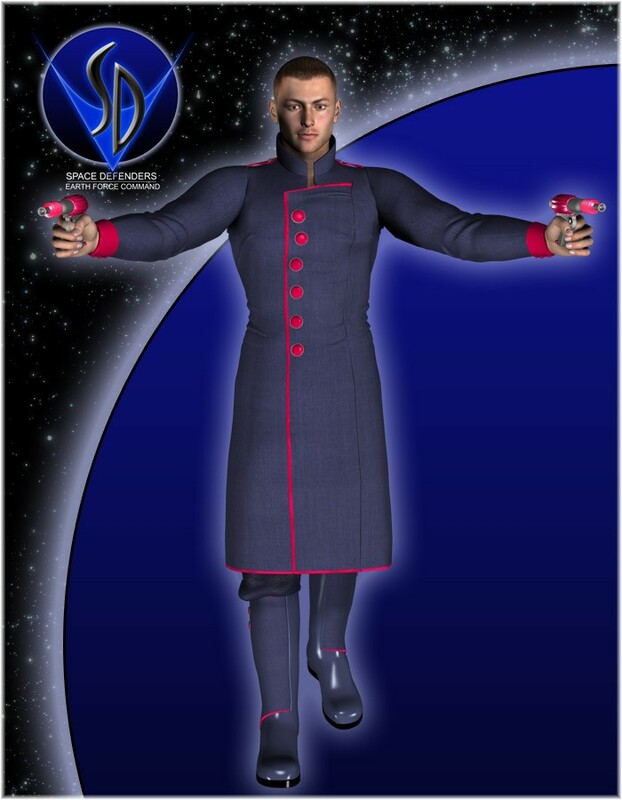 The Commander's uniform consists of a military issue coat and pants, as well as the standard issue ray gun sidearm. 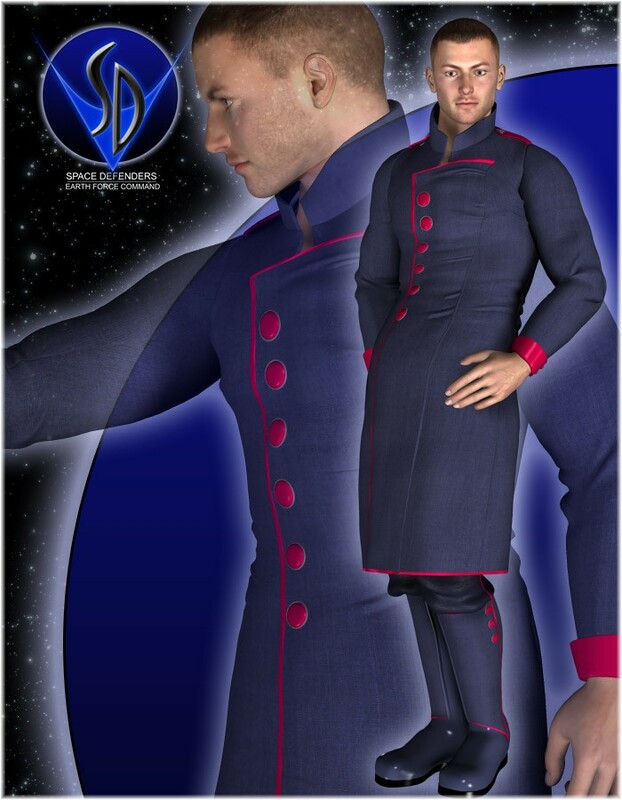 The outfit also comes with all applicable CrossDresser adjustment morphs for easy posing. 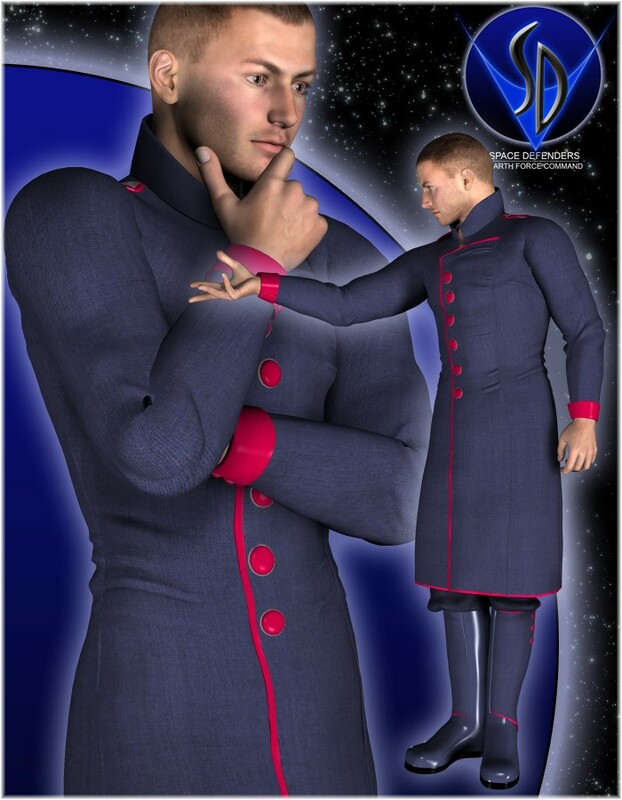 Full body morphs available in EvilInnocence freestuff.